Acupuncture treatments at the Navitas Holistic Therapy & Reiki Centre, Shavington, Cheshire, are provided by our Associate Acupuncturist, Katy Hollinshead. Katy is a member of the Association of Traditional Chinese Medicine and Acupuncture UK. Acupuncture is a form of Traditional Chinese Medicine. It is the insertion of fine needles into the skin for therapeutic purposes. The needles are placed into Acupuncture points, located on meridians. Some practitioners consider Acupuncture to be based on the principle that placing needles into these key points can restore the flow of energy, called Qi through the body. They believe that when Qi does not flow freely throughout the body it can cause illness. Other practitioners believe that placing the needles in acupuncture points, stimulates nerve endings causing electrical impulses to induce production of endogenous opiods and oxytocin. Acupuncture is most often used as a complementary treatment alongside conventional medical treatment. 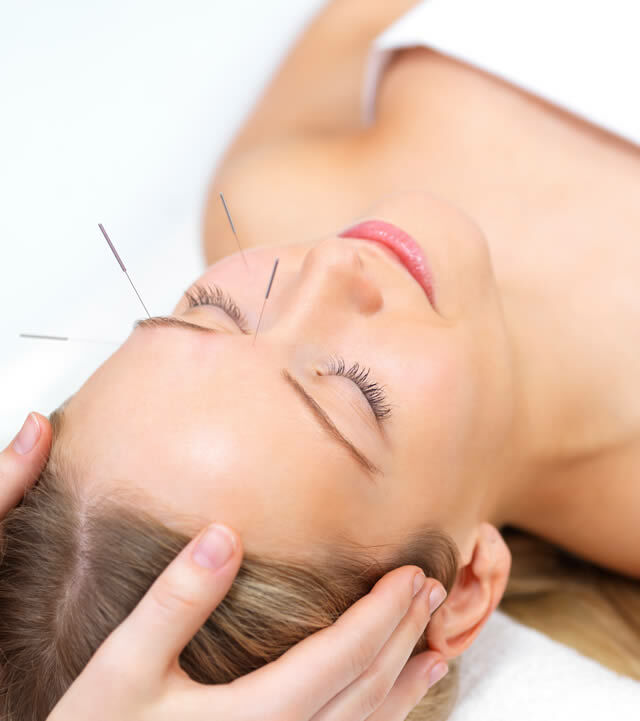 Your Acupuncturist will take details about your medical history and general health during a consultation process. Once your Acupuncturist has a clear idea of your health and any symptoms they will ask you to remove enough clothing to be able to access the relevant Acupuncture points. The needles will then be inserted into specific Acupuncture points and left in place for up to 30 minutes. The needles are single-use, pre-sterilised, fine needles and measure around 3cm long. It is common to feel tingling or a dull aching sensation when the needles are inserted but they should not feel painful. If you do experience pain as needles are inserted then you should tell your Acupuncturist. Of all medical treatments available in the UK, Acupuncture is one of the safest. Two independent surveys published in the British Medical Journal in 2001 concluded that the risk of a serious adverse reaction to Acupuncture is less than 1 in 10,000, far less than many conventional medical treatments. The needles used during an Acupuncture treatment are pre-sterilised single-use needles which will be disposed of safely after your treatment. Everyone is unique and responds differently to treatment. Some will see an improvement quickly and others will take longer. Your Acupuncturist will discuss with you an individual treatment plan and give further guidance as to how many treatments will be necessary for you. While Acupuncture is a therapy suitable for people of all ages and in many different states of health, it must be noted that Acupuncture is complementary to traditional medicine and should never be used in place of care from your primary healthcare providers. Complementary therapies are not a substitute for medical care. If you have, or suspect you have a health problem then you should always consult your GP.